Hold on to your Dreams !!! Have tons of Fun this Evening !! Have fun tonight with the kiddies out there. Be safe and don't eat to many candies. 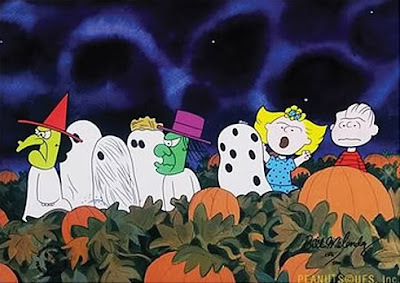 I have always loved the Charles Schultz "It's the Great Pumpkin, Charlie Brown". It just isn't Halloween without watching it at least one time each year. What are you going to be? I am sure it will be something with heels. You love your shoes. 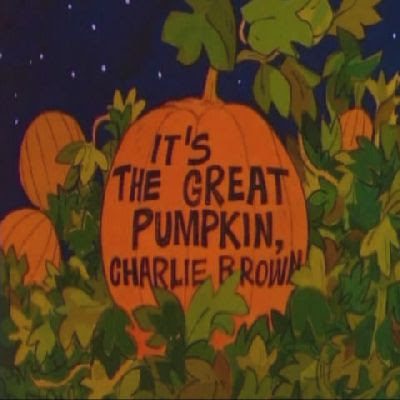 THE GREAT PUMPKIN IS ONE OF MY FAVORITES. THE VIDEOS I POSTED AREN'T SCARY. WELL THE FIRST ONE IS SOME SCARY ANIMALS. BUT THE OTHERS ARE COMEDY CLIPS STARRING EUGENE LEVY, JOHN CANDY AND JOE FLAHERTY AS COUNT FLOYD. VERY FUNNY, NOT SCARY AT ALL. IT WAS A TRICK. 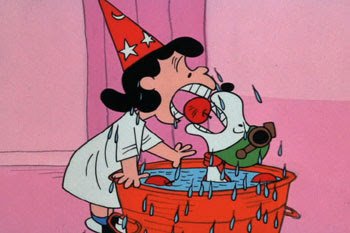 HAPPY HALLOWEEN, AND THANK YOU FOR BEING, RATHER THAN SEEMING TO BE, A FRIEND.